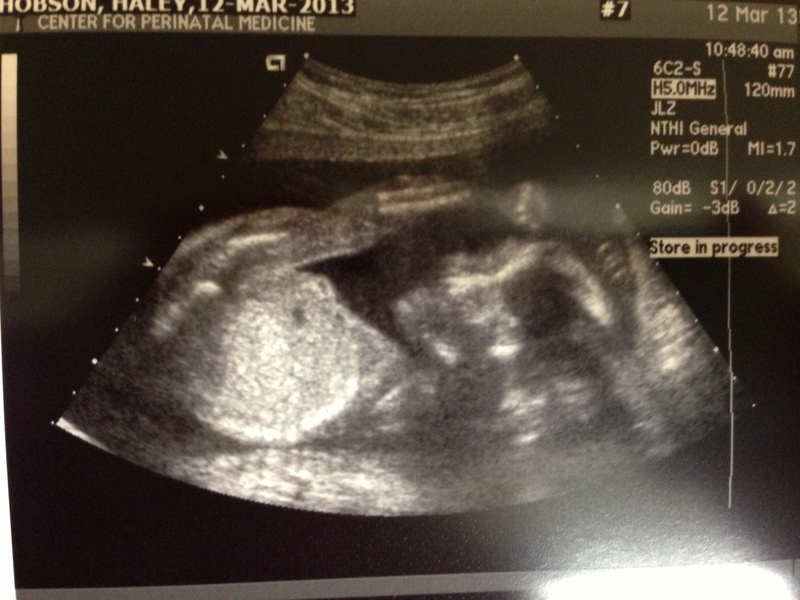 There’s no denying Baby #2 is a full-fledged boy! 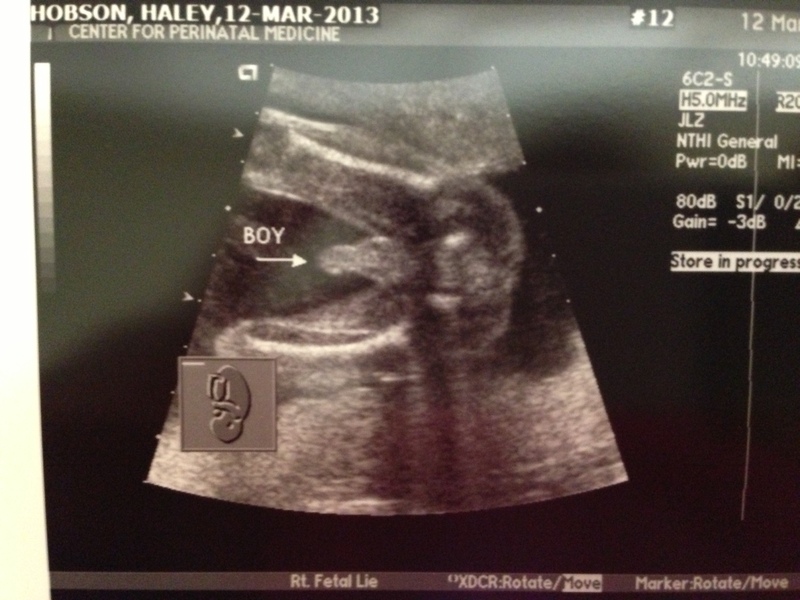 He was an active little fellow throughout the entire ultrasound, showing off by performing flips, stretching his leg to his face, putting his hands on top of his head and moving around in general like a mad man. After we heard the good news that he is healthy and measuring on track (weighing in at roughly 14 oz), I breathed a sigh of relief and was able to enjoy his acrobatic act. I’ve often heard that second babies have much different personalities than firsts, but by the way this little one was moving, he may be more like James Michael than we would have ever imagined. I am so so thankful for a healthy baby, and every time I think about how much trouble, I mean, fun, that he and James Michael will get into, I crack a grin from ear to ear. My wish is that these two brothers are the best of friends. Sure they’ll fight, but hopefully the makeups will be quick. I keep wondering if he’ll look like JM or different. I can’t wait to see in 5 months. There are some great perks to having another boy at this time for us. Because we plan to move closer to my husband’s gym by summertime, that means that I don’t have to worry about starting from scratch with a new nursery or stocking up on new clothes. I can use what I have so that it’s one less thing to plan for. Now that doesn’t mean that I wouldn’t like a girl in the future. Maybe she’ll be Baby #3 or #4 🙂 We’ll see if I’m still on the baby train after #2 arrives!